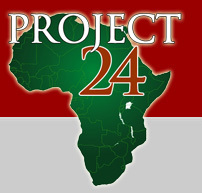 Project 24 Forum Coming | "Northern Crossings"
To all of our loyal donors out there who have wanted to go to a Project 24 site the chance is coming in February. You will have the chance to participate in a Forum which discusses the issues, problems, joys, successes and other things that revolve around the Project. If you want to go please contact me and we shall see what we can do to get you there and connected with the right folks. Mercy and the Church as building…….